Good Used Condition with wear & dirty. (Not available to all Countries). SORRY - No personal cheques. Cash on Pickup. Money Orders or Bank Issue Cashiers Cheques (Australia Only). Direct Deposit. 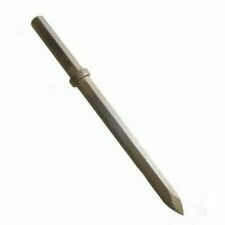 21mm Hex FITTING LONG SERIES WIDE CLAY SPADE TO SUIT KANGO. Suits KANGO 21m Hex. from a concrete breaker to a power trench digger. Extra Thick spade base for maximum strength and hard wearing life. You can't compare this spade to other thin, flimsy designs. 510mm LONG SERIES TRENCHING & CLAY SPADE CHISEL. Pre-Sharpened - Ready for use, Great for Deep Trenching applications. SPADE SIZE = 110mm Wide x 510mm Long. ABN: 63 130 350 006. ZEUS INDUSTRIAL TOOLS PTY LTD. Inner Piling Heads Size: Φ53mm & Φ67mm. 2x Inner Piling Heads. Engine Type: single cylinder, air cooling, 2 stroke. 1x Pile Driver. Carburetor Type: MZ10.7. Internal vibration dampening for comfort use. Engine Type: single cylinder, air cooling, 2 stroke. Fuel Type: mixed oil (25 gasoline: 1 motor oil). Internal vibration dampening for comfort use. 1x Pile Driver. Portable and lightweight for easy handling and convenient transport. Pre-Sharpened - Ready for use, Great for Trenching applications. Excellent for lifting tiles and other tough applications, chipping or scraping mortar (Brick cleaning), chipping and levelling concrete and many other applications. 1,400 (BPM) Blows Per Minute. For example, Sunmatch manufactures many of the air tools sold by Husky, Jet, and Chicago Pneumatic. They are identical to models sold by Husky, Jet, and Chicago Pneumatic. This is followed up with an aggressive shot blasting process to improve stress resistance on the surface. special care is taken in surface preparation and lacquering to ensure a quality finish. Pioneer Tool Model No. 7455. SDS Plus (SDS ) fitting. 75mm x 250mm Long EXTRA WIDE TILE & SCRAPING CHISEL. Excellent for lifting tiles and other tough applications, chipping or scraping mortar (Brick cleaning), chipping and levelling concrete and many other applications. (Standard 30mm / 1.1/8" Hex). 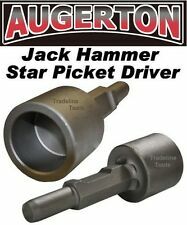 Solid Heavy Industrial / Trade Quality, built solid for Australian conditions. The hose in the gas kit is not a U.S. Standard fitting and you may need an adapter. Thread Pitch: 1 mm. In case you need. Full copper motor with excellent heat resistance, low loss and long lifespan. Type: Hexagonal. Power Type: AC Power. Impact number: 1400ipm. Input power:1200W. 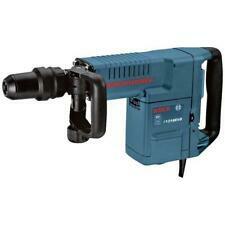 1 x 220V Electric Chiseling Machine (Do not Support 110V). 2, Dam Tunnel. Toy & Hobbies. Arrived Rate. United Kingdom. 1/2" Oiler x L-3 & L-1 Swivel Fitting ends x CP Couplers Connected to the Oilers! 4PC COMPLETE WHIP HOSE OILER ASSEMBLIES INCLUDED IN THE LOT! OILER SIZE: Inline 1/2" with Standard CP Couplers Connected All Ready To Connect! Able to use all standard Demolition Bits Quick release. Steel case has small dents. Full load impact Rate 2900/Min. FOR SALE IS A NEW MAYHEW COLD CHISEL HARGRAVE 32608-1. THIS CHISEL IS 18" LONG WITH A RUBBER HANDLE AT THE TOP. ITS NEW AND READY TO USE. You will not be disappointed. I WANT TO MAKE YOU HAPPY AND FIX THE ISSUE. It is characterized by heavy duty construction with industrial grade for high durability. It has the features of two chisels for multiply functions. The mounted handles is also used for absorbing vibration to reduce operation fatigue. 3,000 (BPM) Blows Per Minute. For example, Sunmatch manufactures many of the air tools sold by Husky, Jet, and Chicago Pneumatic. They are identical to models sold by Husky, Jet, and Chicago Pneumatic. P/N 7144688. Type: Chisel Breaker Point. Length: 23". It's perfect to make light work of breaking up concrete and block quickly,easily and safely. Heavy duty breaking power from 120V power source. Full load impact rate: 1400 min. arsenic and chromium from chemically treated lumber. Up for sale is a Sullair MDT-22 demolition tool. 7/8" by 3 1/4". In unused condition. For Demolition, Trenching, Chipping. Color of unit may vary. Case that is included is for transportation only. Includes: 1-1/8" Bull Point Chisel, 1-1/8" Flat Chisel. 5" Ashphalt Spade. 1-1/4" x 13". 1 1/4" x 6". Powerful 1900 Watt. Input: 1900 W. - Included BMC Box with wheels. Weight net / gross: 16,5 / 20,8 kg. Impact force: 50 Joules. Technical data - Compact, streamlined design allows access in confined areas. 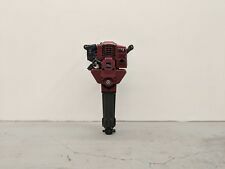 Motor Power: 3600W. 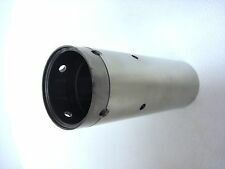 Surging power is assured by copper-core motor and enlarged steel alloy cylinder. A professional and durable tool. It is characterized by heavy duty construction with industrial grade for high durability. Impact energy can be optionally selected by adjusting compressed air pressure. Net Weight: 1.7 Kg 3.7 Lbs. Overall Width: 3 11/32". Overall Height: approx. Scale Models, Toys & Hobbies. Account Number: 454284415. The plug must be removed from the socket-outlet before any cleaning or maintenance is done. In this event, we will inform you of the error as soon as possible and give you the option of reconfirming your order or cancelling it. Just let us know upon ordering. Bits: Used / Reconditioned 1500 Series. Rated Input Power: 1050W. Hex shank chisels are replaceable with most 5/8 in. hex shank bits. 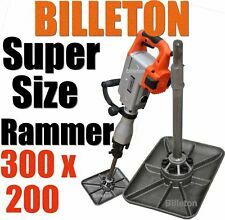 Perfect for demolition, Trenching, Chipping, breaking holes in concrete, block, Brick, Tile Stucco, Removing a foundation, concrete slab, oil chimney and much more. Power input:1800 watt. arsenic and chromium from chemically treated lumber. UL Listed 9Feet Power Cord w/ 110v plug. WARNING: Many food and beverage cans have linings containing bisphenol A (BPA), a chemical known to the State of California to cause harm to the female reproductive system. 2,100 (BPM) Blows Per Minute. 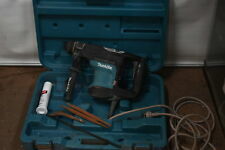 For example, Sunmatch manufactures many of the air tools sold by Husky, Jet, and Chicago Pneumatic. They are identical to models sold by Husky, Jet, and Chicago Pneumatic. New K Tool International KTI-71522 Dual Inner Tie Rod Socket 1-3/16" 1-5/16"